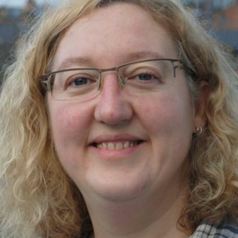 Loretta joined Leicester's Geography Department in September 2013 where she is Director of Research. Previously she was a Chair in Human Geography and Chair of the Cities Research Group at King’s College London (1997-2013), a Post-doctoral Research Fellow, Department of Geography, University of British Columbia, Canada (1995-1997) and a Visiting Lecturer, Department of Geography, University of Waikato, New Zealand (1994-1995). Loretta was awarded a PhD from the University of Edinburgh in 1995. Loretta is an urban geographer with research expertise in gentrification/urban regeneration, global urbanism, urban policy, urban public space, urban communities, architecture, urban social theory and the urban geographies of young people. Loretta is a Fellow of the Academy of Social Science (FAcSS) and a Fellow of the Royal Society of the Arts (FRSA).